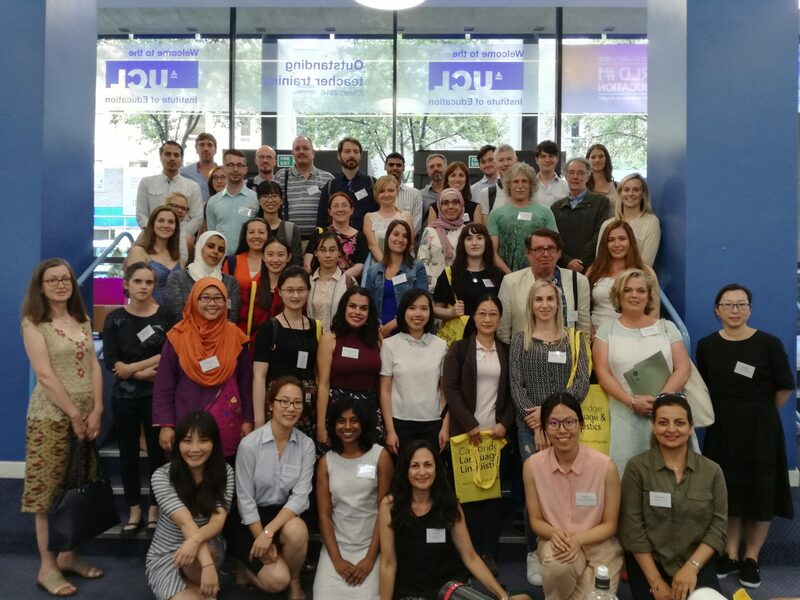 This year’s conference was hosted by the Centre for Applied Linguistics at the UCL Institute of Education, organised by Ana Pellicer-Sánchez and co-organised by the other committee members (Michael Daller, Yixin Wang, and Veronica Garcia Castro). The theme of this year’s conference was “Vocabulary development and use across diverse contexts” and the aim was to bring together researchers and practitioners from different fields and disciplines and to provide a forum for discussion of vocabulary research across diverse contexts and with learners of different characteristics. Over 50 abstracts were submitted this year, resulting in two days of stimulating talks and poster presentations. The final programme included 16 paper presentations and 16 poster presentations. The close to 70 attendees included researchers, postgraduate students, language teachers, and educational software developers. This was a truly international event with delegates from all over the world, including Belgium, China, Cyprus, Italy, Japan, Malaysia, New Zealand, Spain, Vietnam, and the UK. The presentations reported results of studies exploring the development and assessment of vocabulary knowledge in a wide variety of contexts where English is learned, including: English as a Second Language, English as an Additional Language, English as a Foreign Language, and English as a first language. The presentations covered these contexts with both young and adult learners and learners with dyslexia, providing a comprehensive overview of the vocabulary research that is being conducted in these areas. One of the main themes discussed at the conference was the development of vocabulary from different modes of exposure (i.e. reading, listening, reading while listening, viewing, pushed-output activities, input-based and output-based tasks) and approaches, as well as the effect of various factors on the process of lexical development, such as language contact, intralexical and interlexical factors. Another recurring theme of the conference was the development of formulaic language and phraseological knowledge, reflecting current interests and developments in the field. The testing and assessment of vocabulary also featured in the conference with several paper and poster presentations on the development and validation of tests and the use of vocabulary tests to measure linguistic proficiency across different contexts. This variety of topics allowed for stimulating discussions about the teaching, learning and assessment of vocabulary across different contexts. The conference programme included two plenary talks. The first plenary talk by Professor Victoria Murphy (University of Oxford) examined vocabulary knowledge and learning in learners with English as an Additional Language (EAL). Professor Murphy’s talk stressed the importance of looking at the development of vocabulary in young learners with EAL, in response to the current demands of the educational context in the UK and in other countries (Title: “Vocabulary knowledge in linguistically diverse pupils: Beyond the single word”). The second plenary talk by Professor Pauline Foster (St Mary’s University, London) explored the issue of formulaicity and children’s and learners’ picking up (or lack of) the collocational bonds between words. Professor Foster reviewed research showing that language learners do not pick up the bonds between words to the extent that children do when learning their first language, and explored the reasons why this is the case (Title: “The role of collocational bonds in the evolution, acquisition and teaching of vocabulary”). These two plenary talks were an excellent reflection of the theme of the conference and highlighted the need to look at vocabulary development across different contexts and the similarities and differences that we face when conducting research in different contexts or with learners of different characteristics. As it is now tradition of the BAAL Vocabulary Studies SIG Annual Conference, the event closed with the announcement of two prizes, one to the best student presentation and one to the best poster. This year we had a draw in the votes for the best student presentation and we decided to give two prizes. The two best student presentations prizes went to Sam Barclay (UCL Institute of Education/Nottingham Trent University) and Rachel Hulme (UCL), and the best poster prize went to Maria Lorena Colombo (UNED). This year’s conference was also an opportunity to thank three of the committee members stepping down from their current positions. After four years of service, Michael Daller (convenor), Yixin Wang (secretary) and Ana Pellicer-Sanchez (treasurer) stepped down and new members were elected at the conference. The newly elected committee members are: Ana Pellicer-Sanchez (UCL Institute of Education) as convenor, Roopa Leonard (University of Reading) as secretary, Pawel Szudarski (University of Nottingham) as treasurer. Veronica Garcia Castro from the University of York continues her service as media and communications officer. Overall, it was a successful event that clearly contributed to the development of vocabulary research and vocabulary researchers. As announced at the end of the event, the next vocabulary SIG conference will be organised by Marijana Macis from Manchester Metropolitan University. Details about the event will be circulated soon! We are all looking forward to next year’s event!